Catawba at its finest. Fresh, Fruity & Fun! Great when served as a slushie. I went to a local winetasting at Exit 9 Wine and Liquor Warehouse in Clifton Park, NY (my first winetasting too) and absolutely fell in love with this Wisteria Blush! It is such a light and fruity wine that I feel could be enjoyed with any meal or occasion. I have never tasted Catawba wine before and it is now my personal favorite! I attend wine festivals in Hudson Valley every year, and at one of them, I must’ve come across Miles. One evening, I decided to try a bottle of wine from my fridge, and pulled out my bottle of blush. Oh my goodness, what a great tasting blush! I’m not big on sugary blushes, I can only handle so much sweetness, and this wine is the perfect blend of sweet. I’m so happy when I open a bottle that I purchased months earlier, having no clue what it tastes like, and then absolutely LOVING it. I have to find me some more! 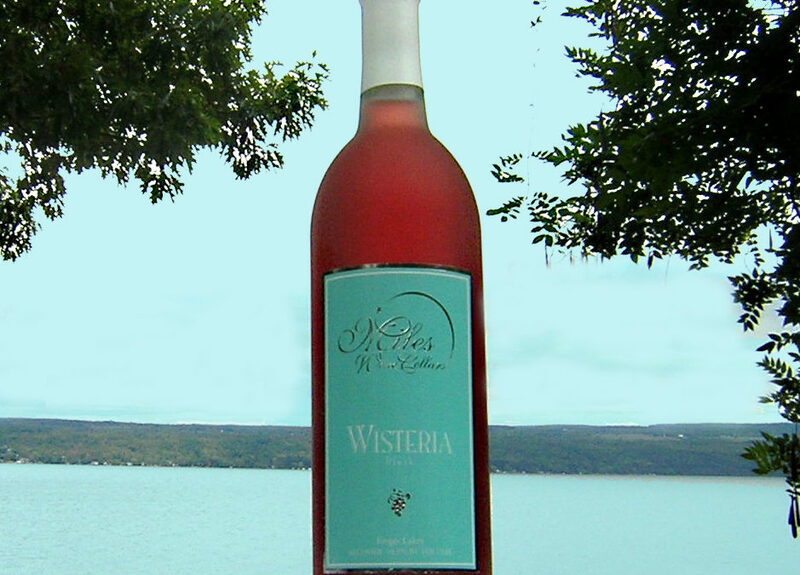 We are so glad that you enjoy our Wisteria Blush. We plan on being at the Hudson Valley Wine and Food Festival in Rhinebeck again this September and hope to see you there. Keep in mind if you would like more Wisteria we can ship directly to your home. Feel free to give us a call at 607-243-7742 or email us @ Info@mileswinecellars.com. We were fortunate enough to discover Miles several years ago. We visit every time we are in the area while racing at Watkins Glen. make a perfect place to visit and enjoy. We are so delighted that you enjoy our Wisteria. We look forward to you joining us again the next time you are in the area.